When it is time to ride, you do not want your motorcycle battery to hold you back. Motorcycle batteries have undergone many improvements over the years. Today there are different kinds of motorcycle batteries available in the market. You need to understand the difference between them to make it easy for you to determine which battery is best for your motorcycle. Here we will provide you with an overview of three common types of batteries used in motorcycles these days. This is the oldest type of battery used in motorcycles. French physicist Gaston Planté invented wet lead acid battery way back in 1859. 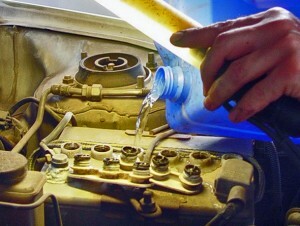 Wet lead acid battery is sometimes also known as flooded lead acid battery (FLA). It is made of plates, lead, and lead oxide with 35% sulfuric acid and 65% water solution. Wet lead acid batteries need to be topped up regularly with distilled water to prevent damage of the battery plates. Gel Cell battery is a type of sealed lead acid battery used in motorcycles. It contains gelified electrolyte – sulfuric acid mixed with fumed silica that makes the mass gel-like and immobile. Unlike, wet lead acid batteries, these batteries do not need to be kept upright. Gel batteries also do not have any electrolyte evaporation, spillage, or corrosion problems which are common with wet led acid batteries. 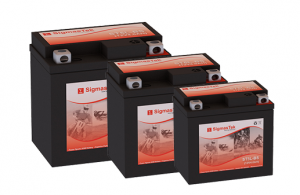 These batteries boast greater resistance to vibration, shock and extreme temperatures. 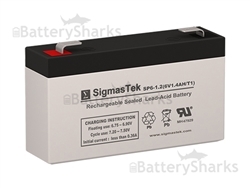 Keep in mind that gel cell batteries are charged with a trickle charger rather than a quick charger. Finally, AGM or Absorbed Glass Mat battery is the most common type of lead acid battery used in motorcycles. It is a sealed and maintenance free battery that does not need to be topped up with water just like gel cell batteries. Also, similar to gel cell battery, you do not need to keep it in an upright position. These batteries are resistant to heat and vibration, thus reducing failure rates in motorcycles. 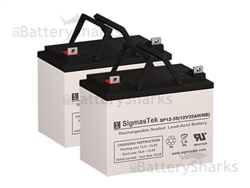 The advantage of AGM batteries over gel cell batteries is that they deliver similar performance, but cost much less than gel cell batteries. 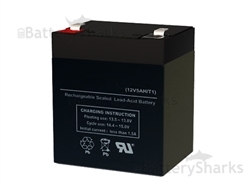 On BatterySharks.com you can find quality replacements for the most popular models of motorcycle batteries such as the YTX12-BS, YTX14-BS and YTX14AH-BS battery by Yuasa.